I’m working on a quilt, and would like to name it (i.e., title it). The name should be something either descriptive, or evocative. Some of my prior quilts have been named things like Halloween cats, Peppermint snowballs, and Mango Tango. 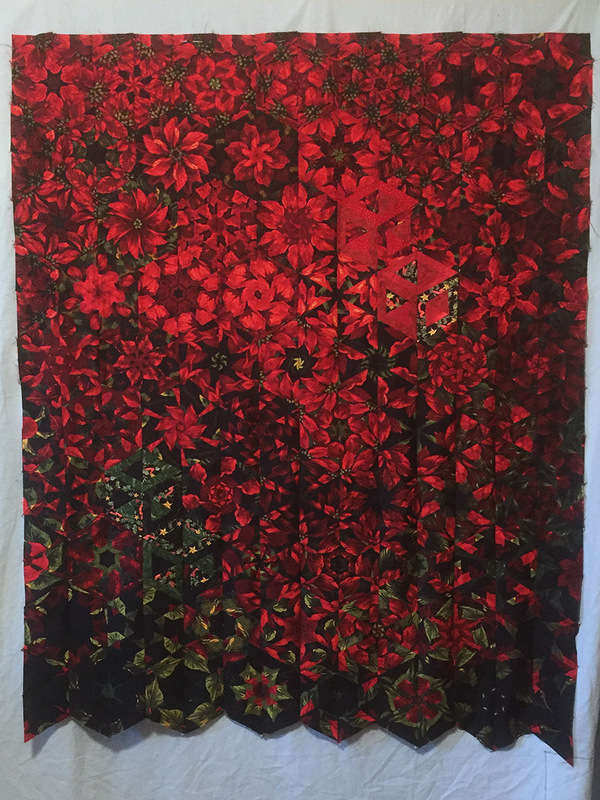 In the absence of a clever name, I’ll be forced to title it something dull and boring like Poinsettia quilt. Please help me avoid that fate! The quilt top is shown below. 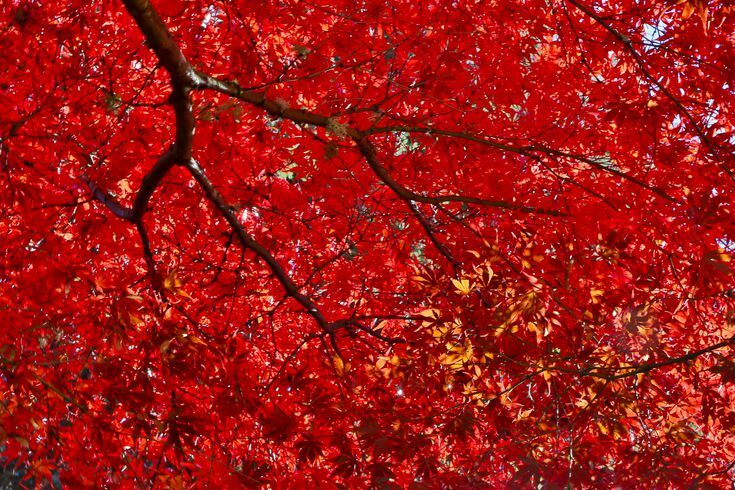 It reminds me of the beautiful crimson maples I saw in Japan. Here is a picture that looks like what I remember. They called them “momomiji” always loved the term for describing the intense crimson. Your quilt reminds me of that especially with the few darker bits. They used that word for the trees, the leaves and the time. Plus it is cool that it is another language. Flower power? Except it doesn’t look “hippie”. Euphorbia is the genus of poinsettia. Sounds like a science fiction word to me. “momomiji” … Plus it is cool that it is another language. Can we see a picture of it next to a penny so we can tell how big it is? Thanks. I will likely trapunto the frames of those to make them a little more obvious.